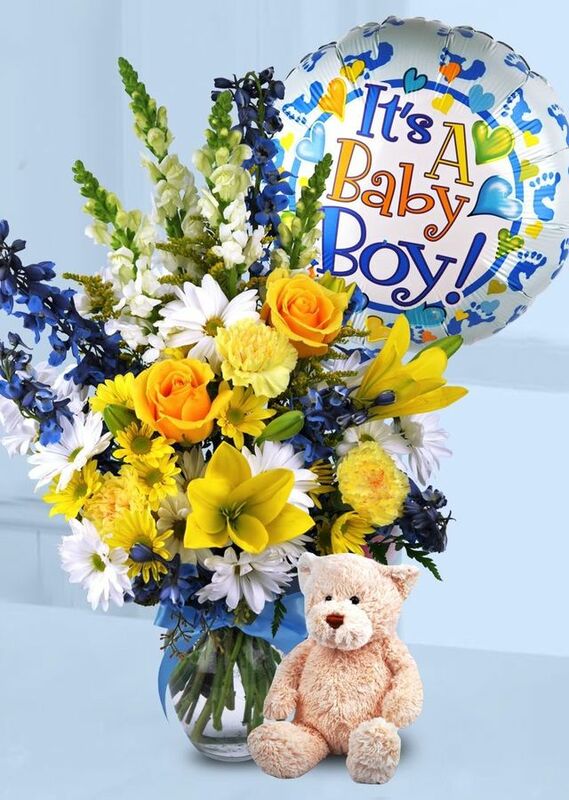 This beautiful vase of assorted fresh cut flowers is just right for the celebration of your new arrival. 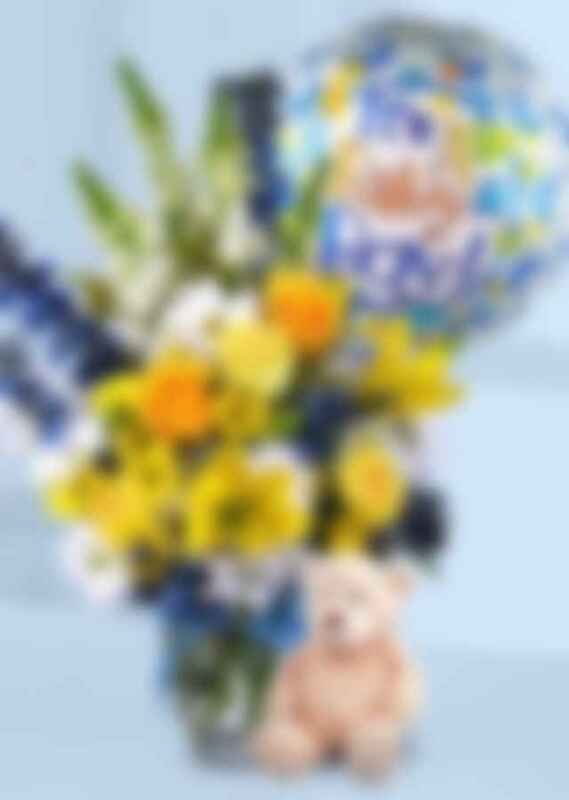 This item includes a plush keepsake teddy bear and mylar balloon! Note: Teddy Bear &/or Balloon style may vary.